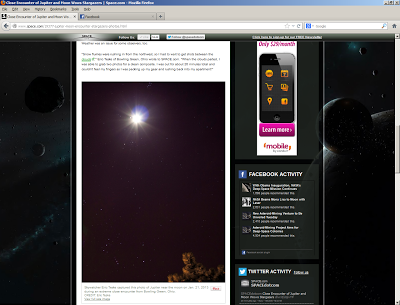 Space.com gave me the title "Skywatcher," that's pretty boss! Ok, so anyone can submit a photo to Space.com for consideration for a story - especially around an event like a conjunction. Out of all the photos that were submitted, however, mine was 1 of 3 chosen for an accompanying write-up of the event, titled "Close Encounter of Jupiter and Moon Wows Stargazers." My image on Space.com, 15 seconds of fame! For some reason, Skywatcher reminds me of World of Warcraft. It has a mystical sound to it, like a lvl 50 Night Elf priest. (LFG need Tank). What fun! 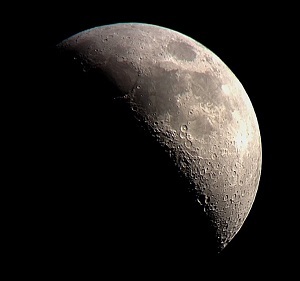 I'm definitely going to submit more photos in the future (hopefully ones with round stars).